Mohd Anis Md Nor is the Managing Director of NusPARC and also serves as a Research Fellow. He was Professor of Ethnochoreology and Ethnomusicology at the Cultural Centre (School of Performing Arts), University of Malaya in Kuala Lumpur for many years. He earned his B.A. Honors from the University of Malaya, MA (Dance Ethnology) from the University of Hawaii at Manoa, and PhD (Southeast Asia Studies and Musicology) from the University of Michigan at Ann Arbor, Michigan. Dr. Anis has pioneered the study of Zapin dance and music in Southeast Asia and has published widely on the said topic. Although his foremost research area deals with Malay dance and music in Southeast Asia, his current studies are on the interfacing of dance traditions among the Malayo-Polynesian societies in Southeast Asia and Polynesia and the making of new traditions through contemporary performances. He is a member of the International Council for Traditional Music (ICTM) Study Group on Ethnochoreology and (ICTM) Study Group on Performing Arts of Southeast Asia; Past President of World Dance Alliance – Asia Pacific (WDA-AP); National Advisor to MyDance (World Dance Alliance-Asia Pacific Malaysia Chapter); and Artist-in-Residence/Consultant to the Johor Heritage Foundation from 1994-2014. He was appointed as the Advisory Committee of the Islamic World Arts Initiative (IWAI) supported by the Doris Duke Foundation for Islamic Art for the period of 2004-2005. Professor Anis is the curator for the Zapin International Dance Festival and the International Malay Performing Arts for the State Government of Johor in Malaysia from 1996-2014. He was the 2007-2008 William Allan Neilson Distinguish Professor of Music, Dance and Theatre at Smith College, Northampton, Mass. ; and the 2011 Visiting Professor at the University of Michigan sponsored by the School of Music, Dance and Theatre, Center for Southeast Asian Studies and Center for World Performance Studies. He was awarded a European Union Erasmus Mundus Fellowship in 2012 by the European Union to take up the position of a Visiting Professor at the Norwegian University of Science and Technology at Trondheim, Norway, for the 2012-2013 Winter Semester. His major publications include Randai Dance of Minangkabau Sumatra with Labanotation Scores (University of Malaya Press, 1986), Zapin Folk Dance of the Malay World (Oxford University Press, 1993), Sharing Identities: Celebrating Dance in Malaysia (New Delhi: Routledge, 2011), Zapin Melayu di Nusantara trans: Malay Zapin in the Malay Archipelago. (Johor Bahru: Yayasan Warisan Johor, 2000), Dancing Mosaic: Issues on Dance Hybridity. (Kuala Lumpur: Cultural Centre University of Malaya and National Department for Culture and Arts, Ministry of Information, Communication and Culture, 2012), Sounding the Dance, Moving the Music: Choreomusicology in Maritime Southeast Asia co-authored with Kendra Stepputat, (London: Ashgate-Taylor & Francis/SOAS Music Series, 2015), and has published many articles in the field of ethnochoreology in international journals. Patricia Matusky is an ethnomusicologist who serves as the chairperson of the NusPARC Research Fellows and whose area of specialization is the traditional music of Malaysia. She holds the BMusic, AMLS (Information Science) and PhD (ethnomusicology) from the University of Michigan (Ann Arbor USA), and MA (musicology) from Hunter College of The City University of New York. Her early research focused on the music of the Malay shadow play and other theatrical music, while continuing research involves Malaysian musical instruments, folk and classical Malay music and the music of Sarawak, Malaysia. She has taught for many years in Malaysia, including senior lectureship in the Malay Studies Department, University of Malaya, and Fulbright Teaching Fellowship and Associate Professorship at the Science University of Malaysia (USM) in Penang. In Singapore she was senior lecturer and Head of the Music School at LaSalle-SIA College of the Arts, consultant (traditional music) for development of Theatres on The Bay venue, and held post-doctoral affiliation at the National University of Singapore. She was also consultant in music for the Dayak Cultural Foundation in Sarawak for many years. Matusky is a member of the Society for Ethnomusicology (SEM), the Asian Music Society, the American Musical Instrument Society, the International Council for Traditional Music (ICTM), and currently is the Chair of the ICTM Study Group on Performing Arts of Southeast Asia. Her major publications include Malaysian Shadow Puppet Theatre and Music: Continuity of an Oral Tradition (Oxford University Press, 1993 and reprint, The Asian Centre Penang, 1997), Muzik Malaysia, Tradisi Klasik, Rakyat dan Sinkretik (1997, new version UMPress 2012) and the English translation Music of Malaysia, the Classical, Folk and Syncretic Traditions (Ashgate, 2004 and new edition forthcoming) co-authored with Tan Sooi Beng. She has written several articles on Malay music in international journals and in the Garland Encyclopedia of World Music (1998), The New Grove Dictionary of Music and Musicians (2001), and Grove Dictionary of Musical Instruments (new ed., in progress). She has contributed music analysis and commentary on Iban healing chants (pelian) in Clifford Sather, Seeds of Play, Words of Power, An Ethnographic Study of Iban Shamanic Chants (2001) and on the Iban funeral chants (sabak) of Sarawak (in Vinson Sutlive, ed. Tears of Sorrow, Words of Hope. Kuching, Sarawak: Tun Jugah Foundation, 2012). Tan Sooi Beng, a NusPARC Research Fellow, is a Professor of Ethnomusicology in the School of Arts, Universiti Sains Malaysia (USM) [Science University of Malaysia] in Penang. She is the author of Bangsawan: A Social and Stylistic History of Popular Malay Opera (Oxford University Press, 1993; and reprint, The Asian Centre Penang, 1997), co-author of Music of Malaysia: Classical, Folk and Syncretic Traditions (Ashgate Press, 2004), and has published numerous articles on the multiethnic performing arts and popular music of Malaysia. Her research has encompassed Peace Building through the Performing Arts (Ford Foundation support), Community Theatre in Southeast Asia and Japan (Asian Public Intellectual Fellowship, Nippon Foundation), Multicultural Traditions of Penang (USM Research Grant), Popular Music in Southeast Asia and Chinese performing arts in Malaysia and Medan (Toyota Foundation). She served on the Executive Board of the International Council of Traditional Music (1995-2011), and at USM was Deputy Dean of the School of Arts (1999-2005) and is presently Chief Editor of Wacana Seni, Journal of Arts Discourse (2000-2008). Currently she serves on the editorial boards of Ethnomusicology, Journal of the Society of Ethnomusicology and Asian Music. Tan has been active in the development of formal and informal music education in Malaysia. She inculcates the creative combination of sounds of everyday objects, the environment and traditional music through non-formal compositional workshops popularly known as the Music of Sound for school teachers and children. The methodology has been incorporated into the primary school syllabus in Malaysia. Tan is active in community arts and works with multicultural young people to conserve their diverse heritage in George Town, Penang through musical theatre productions that date from 2006 to the present, such as Kisah Pulau Pinang –The Penang Story (2006), Ronggeng Merdeka – Independence Ronggeng (2007) and Ko-Tai Penang (Penang Song-Stage) (2009/10). These productions are process-oriented, tradition-based and attempt to revive street performances in Penang. Tan has also attempted to bring a new Malaysian identity to gamelan music through compositions such as Perubahan (CD Rhythm in Bronze, Five Arts Centre, 2002) and Saling Berpelukan (performed by Rhythm in Bronze at the Dewan Filharmonik Petronas, 2004). 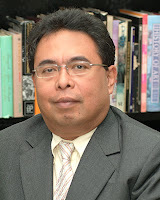 Hanafi Hussin is an Associate Professor in the Department of Southeast Asian Studies at the Faculty of Arts and Social Sciences, University of Malaya and serves as a NusPARC Research Fellow. He holds the MA in Southeast Asian Studies with a thesis entitled “The Development of Philippine Political Theatre During the Marcos Regime, 1969-1972”, and he received his PhD in Performing Arts Studies from the Academy of Malay Studies, University of Malaya in 2007. Hanafi has conducted fieldwork in the areas of culture and performing arts in many countries in Southeast Asia including The Philippines, Thailand, Cambodia, Indonesia, Brunei Darussalam and his home country Malaysia. His main focus of research in the performing arts of Southeast Asia encompasses ritual and identity, and he has been engaged in long-term studies and research in these fields in several communities in Malaysian Borneo, such as the KadazanDusun of Penampang and the LotudDusun community of Tuaran in the state of Sabah. His current research is ritual performance among the sea communities (the Sama DiLaut people and others) of maritime Southeast Asia, particularly in the Southern Philippines and northeast Borneo. Since 2008, he has actively participated in the Unit for Maritime Culture and Geopolitics in the Instititue of Ocean and Earth Sciences, University of Malaya, focusing his own research among coastal and maritime communities. In addition, as part of his responsibility to social service, he is involved in the program of Reconstruction of Performing Arts of the Butonese Kingdom in South Sulawesi, Indonesia. His administrative experience encompasses the post, from 2006 to 2010, of Head of the Department of Southeast Asian Studies in the University of Malaya, Head of the Unit for Maritime Culture and Geopolitics from 2009 to the present, and he held the post of Acting Director in the Centre for Pribumi [indigenous Peoples of Malaysia] at the University of Malaya from September 7, 2011 to February 5, 2012. Hafzan Zannie Hamza is the Associate Manager for NusPARC in Kuala Lumpur. Hafzan holds a Master of Arts degree (Performing Arts-Dance) from the Dance Department, University of Malaya. He is trained in Malay traditional dances and Malay martial arts, and has performed in various dance performances and workshops in Malaysia and abroad. His main research focuses on Malay dances and dance of the maritime communities along the Malacca Straits coastline and the Sulu Seas. He has done extensive ethnographical research and published on dances of the Sea Bajau (Bajau Laut) community in Sabah since 2006, and more recently was the Production Editor for the 3rd Proceedings of the Symposium (2015) of the International Council for Traditional Music (ICTM) Study Group on Performing Arts of Southeast Asia (PASEA). In 2015 he served as external examiner for the Diploma and Bachelor of Dance programs at the National Arts, Culture and Heritage Academy (ASWARA). He currently teaches Malay traditional dances at the Dance Department, Cultural Centre, University of Malaya in Kuala Lumpur, and he is a recognized adjudicator for schools, universities and national dance competitions. He is also one of the authors for the dance textbook for Arts School Malaysia. Christine May Yong is Assistant Manager of Nusantara Performing Arts Research Center (NusPARC) in Kuala Lumpur. An ethnomusicologist and gamelan musician by training, she completed her Master of Arts (Performing Arts – Music) at the University of Malaya under the supervision of Professor Mohd Anis Md Nor. In 2013, she was selected as a recipient of the Fulbright Malaysian Graduate Study and Research Program, which allowed her to pursue her doctoral studies in the United States at Wesleyan University, Connecticut. She is currently completing her research on the practice and development of shadow puppetry (Wayang Kulit) in the state of Kelantan, Malaysia.